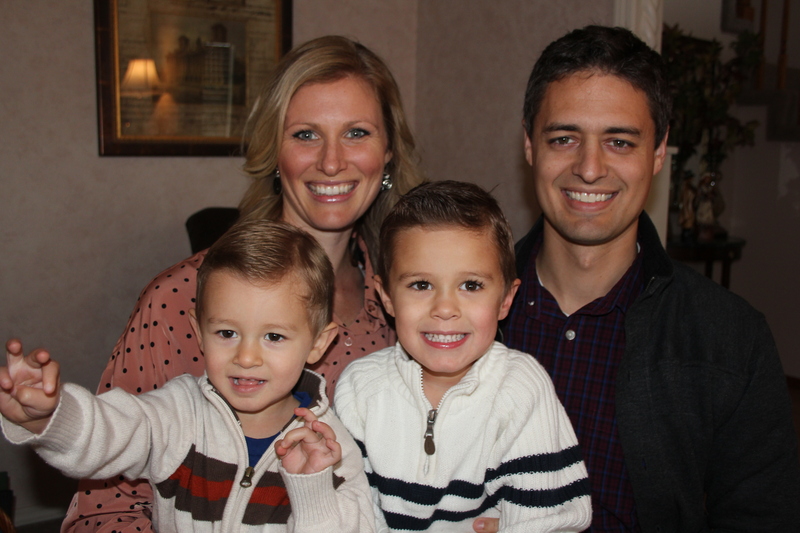 Happy Late Thanksgiving to all of you! I hope yours was as wonderful as ours was. We were in beautiful Oregon with my in-laws and it was sooooo relaxing. Overcast rainy days make me feel so cozy, and we did our fair share of snuggling up by the fire and falling asleep watching movies. I guest posted over at GrainMill again today. Check it out here. Did you know you can make cornmeal from grinding popcorn kernels? Wild!! Chickpea chili chips – Gluten Free! Hi Everyone! I hope you had a wonderful weekend! Mine was filled with snow and college roomie reunions. It was heavenly. I guest posted over at Grain Mill Wagon today. Check it out here! We went to a couple of parties as a Mechanic and a Wrench, but then The Mr. couldn’t get the grease out of his hair for 3 days so we had to switch it up. 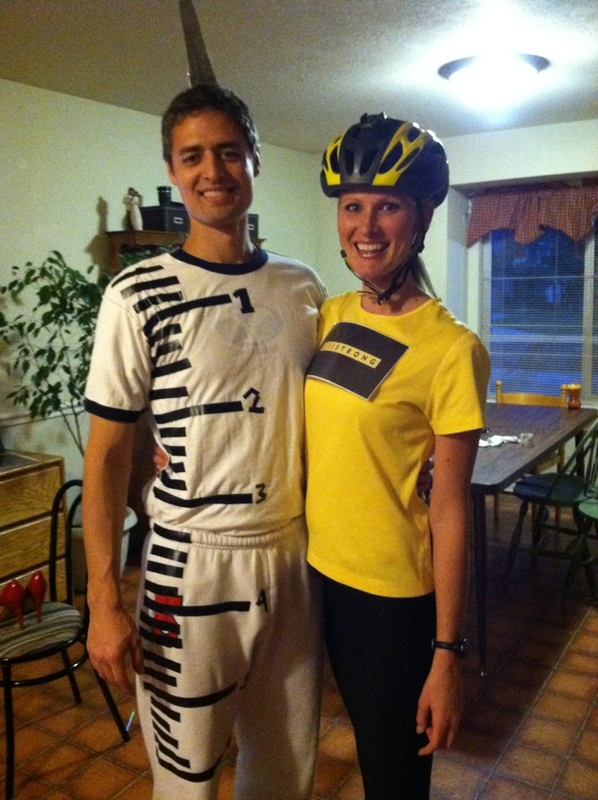 So The Mr. had this great idea to go as Lance Armstrong and Steroids. Kind of a rude costume, don’t you think? 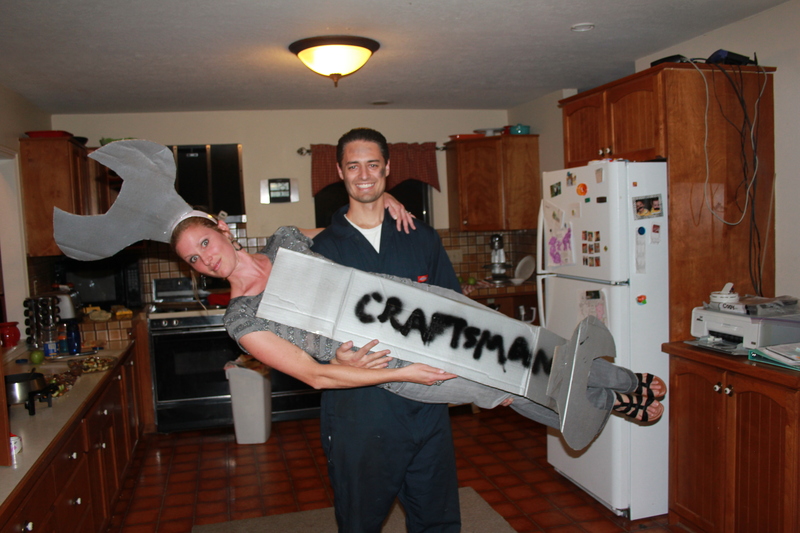 But we won 3rd place in the costume contest! 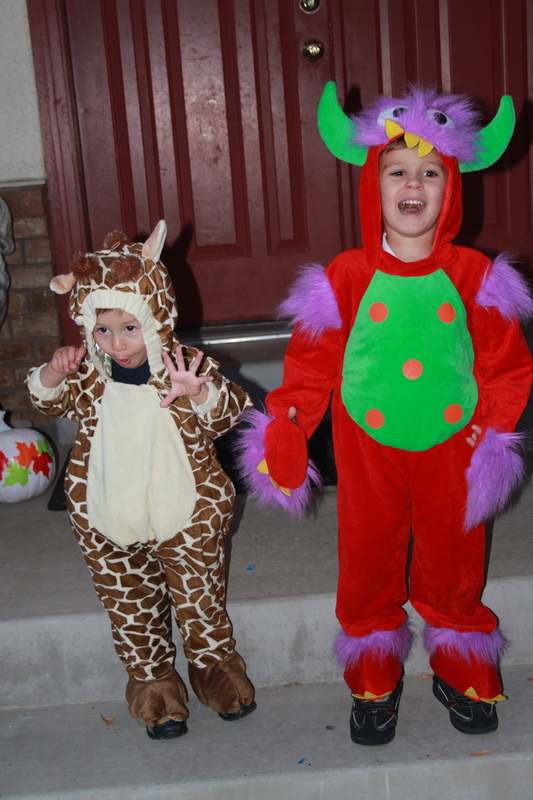 And these cute kiddos were a monster and a (scary) giraffe. 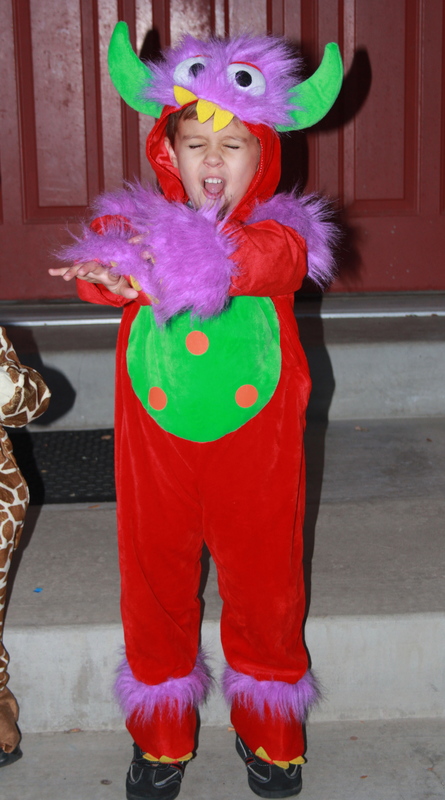 At first The Wild One asked me if he could be a “Grasshopper Monster” and I couldn’t talk him out of it. Luckily when we went to the thrift store to find green items from which to make a grasshopper, we spotted this Monster (sans grasshopper) and he was sold. PHEW! Hope you all had a happy and safe Halloween!! Folks: I read this book in one day. Mostly because the library told me it was due the next day, but STILL! It was a good book, and I’m so glad I checked it out. I’ve been hearing all kinds of great things about Dr. Fuhrman, and when we were in New York I set out to read this. Unfortunately there was a 50 year wait at all 44 branches of the libraries in Manhattan. I guess that proves this guy is legit. So I was lucky enough to get it back here in Utah pretty quickly. A great read. He’s also got a book that I am going to read next called “Eat to Live.” So glad I found this stuff when I still have young kids (and maybe more to come) when I can give them the best shot at staying disease free. Lots of this book was review, but I’ll share some of my notes on the things I found interesting/new. Problem: children are chronically sick with ear infections, colds, allergies, etc. These lead to chronic adult problems like Lupus, Ulcerative Colitis, Rheumatoid Arthritis, etc. 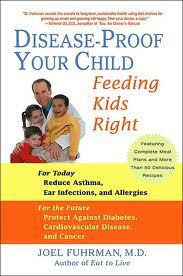 The modern diet most children eat causes a fertile environment to house cancer in the future. Kids love healthy food, and healthy food loves them back. We have to give it to them! Instead of eating better, many parents turn to supplements. Allergies to nuts comes from early exposure/misuse of antibiotics, brief/lack of breastfeeding, introducing solid foods too early, and roasting nuts. Intelligence is greatly influenced by nutritious eating (he spent a lot of time on this. Interesting stuff). Replacing animal foods with plant foods: bean burgers, vegetable/bean soups, fruit centered desserts. Using only white meat poultry, eggs a few times weekly, and other animal sources infrequently. Limiting sweets. Remove white sugar, salt, and white flour. Reducing dairy, and using nut milks. Cheese should not be kept in the home. Serving cooked vegetable main dishes every night. In medical school, Fuhrman learned that all drugs have toxicity. Patients should first be treated with lifestyle and dietary modifications. It seems very few of his colleagues follow this advice (That has been my experience too). Symptoms of illness are a body’s natural response to deal with causes of disease: A fever promotes interferon production in the brian, which activates white blood cells to fight the virus; Coughing aids in expelling mucus and ridding the body of it; Don’t be so quick to treat symptoms. Rather let your body ride it out for a few days. When you or your child has a virus, rest, drink water, avoid cooked food, eat produce when hungry. ADHD can be greatly treated with diet. One cause is excessive TV watching early in life. He has seen up to a 90% success in his ADHD patients which he treats with diet modifications. He goes into great detail about this, including an anti-ADHD plan. Childhood ear infections are a multibillion dollar industry. Most are viral, and should not be treated. In the US, patients are almost always given antibiotics. This makes the next infection more likely to be bacterial. It is a cycle. We are given antibiotics, which decreases the good bacteria in our bodies, which causes another bacterial ear infection. Dairy is the leading cause of food allergies in children. Childhood diabetes is linked to cow milk consumptions. Babies given formula are 52% more likely to develop diabetes. We need to stop treating symptoms and start treating causes of illness. Saturated fat, refined sugar, white flour all contribute to cancer. Root vegetables and whole grains provide minimal protection. Unrefined plant foods prevent cancer. It takes 10 lbs. of milk to make 1 lb. of cheese. Cows are given bovine growth hormones. Their milk contains: estrogen, progesterone, testosterone, prolactine, and other natural cow hormones. Pesticides: Are they a serious health hazard? Yes, especially around the home, lawn, and plants. There are links between farm workers who are exposed to large amounts of pesticides, who have higher levels of brain cancer, Parkinson’s, leukemia, lymphoma, cancer of the stomach, prostate, and testes. What about pesticides on food? It is unclear how hazardous they are, but eating produce with pesticides is better than avoiding produce all together. Basically the younger you are, the more your cells are susceptible to damage from toxins. It seems wise to try to feed young children organic whenever possible. Did you know you can freeze tomatoes? I thought it was frowned upon, but I saw (here) the other day that you can totally do it! We got a bag of free tomatoes a few weeks ago that were about to bite the dust, so I threw them in the freezer. 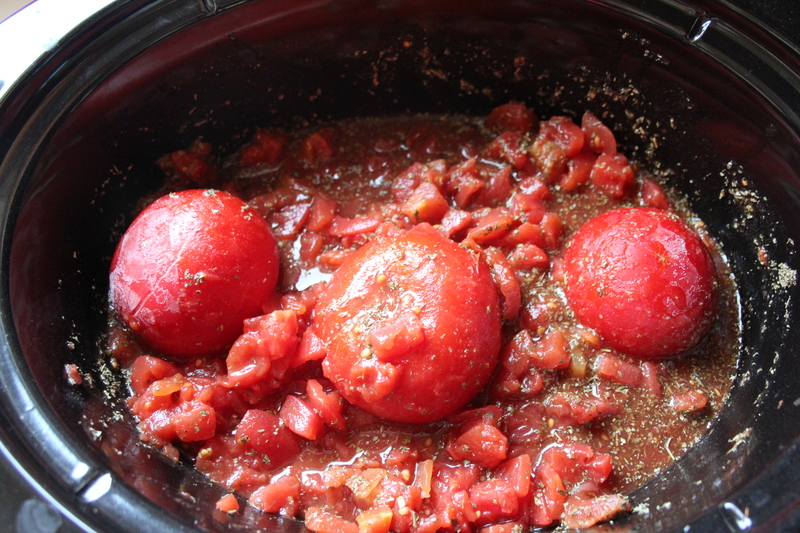 Today I dumped them in a crockpot with a few seasonings and by the end of the day I had homemade spaghetti sauce. Voila! It was a little bit runny, but that’s my only complaint. Anyone know how to fix that? 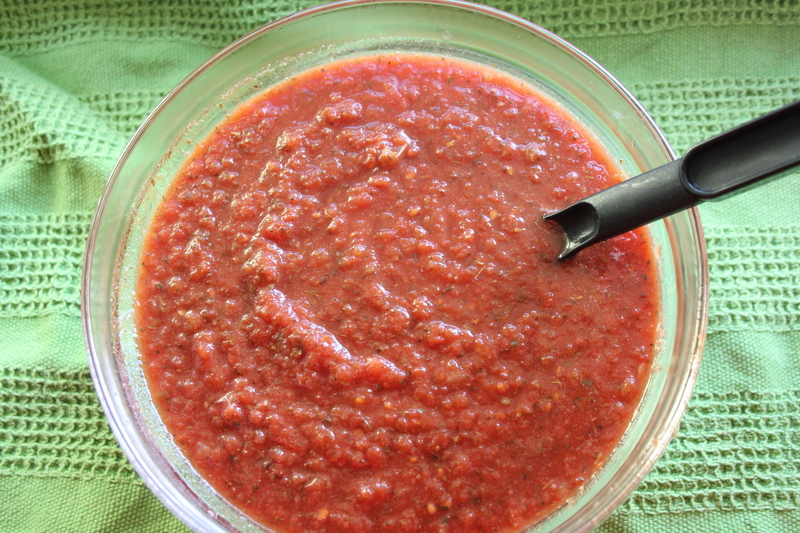 I heard that if you make spaghetti sauce from scratch, you are supposed to de-seed them first. Maybe that was my problem. Dump it in the crockpot and cook on low for 5 hours or so. After the tomatoes defrost, the peel comes off really easily. Just peel it off and throw it away. The tomatoes just break apart and form this lovely mush. After it’s done cooking, put it in a blender for a few seconds, and it’s ready to go! So I recently asked my posse what they wanted to eat for dinner and the consensus was Mesiterranean food. Did I mention that The Mr. is 1/4 Lebanese? I love me a tall dark man. So I did some quick googling to find something that didn’t have lamb in it (had lots when I lived in New Zealand and don’t care for it much, thanks. Plus, lambs are cute). Anyway, I stumbled across this gem of a recipe. 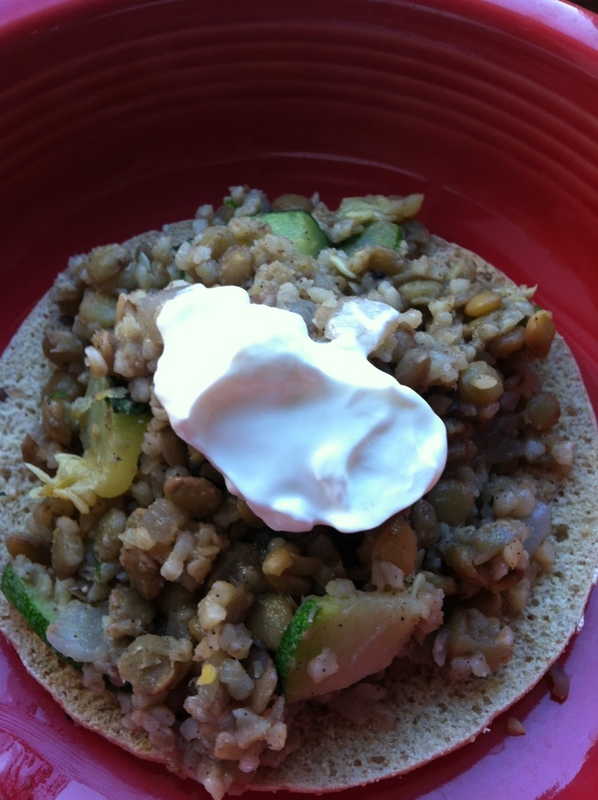 I really like lentils but forget to make them very often. I was nervous about the kids’ reactions, but Tornado went buck wild on it! The Wild One reacted as expected and only ate the one bite I made him take. BUT it was a hit with the rest of us, and with our cellular health as well (that’s code for “this is a healthy recipe.”). Combine broth, lentils, onion, bay leaf, salt, allspice and pepper in a 3-quart saucepan. Bring to a boil over medium heat. Reduce heat to low, cover, and cook for 20 minutes. 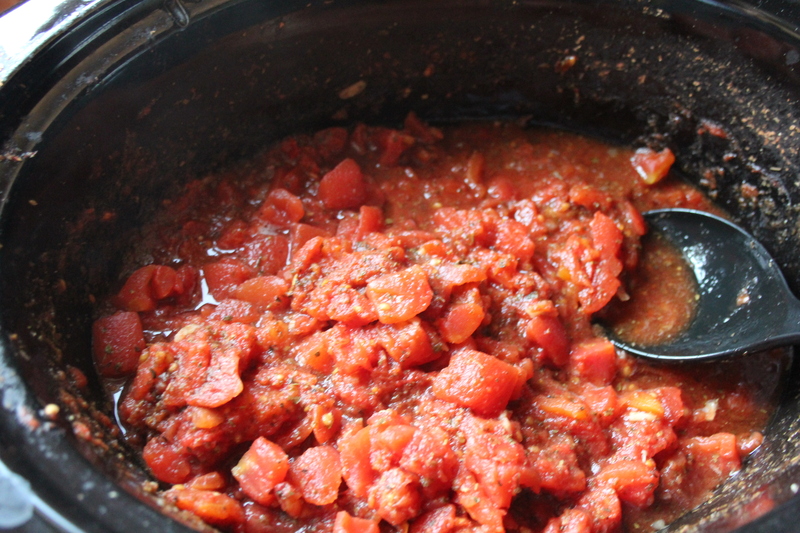 Add bulgur and cook until the lentils and bulgur are tender and the liquid is absorbed, 15 to 20 minutes more. Remove the pilaf from the heat, discard the bay leaf and stir in lemon juice. Meanwhile, heat oil in a large nonstick skillet over medium heat. Add zucchini, squash, garlic and lemon zest; saute for 5 minutes. Stir in parsley and cilantro (or dill). Season with pepper. Stir into the pilaf. Serve hot. I’m sitting in the Tucson, AZ airport waiting to board. What a difference getting through security here versus JFK! Piece of (low-sugar, whole wheat) cake! The kiddos have been champs. The wild one is finally at an age where he doesn’t have to drink anything while we take off and land to pop his ears. He can just chew gum. Tornado, on the other hand still needs a little help. He’s not too thrilled about drinking more than a sip of water though, so I decided to get him a little treat. Bought him a Naked Green Machine. And all for the small price of $6.00. REALLY? Maybe JFK is better after all!! Anyway, it’s worth it for a little treat and a boost for me too. This brand is totally legit. I’d buy them all day long if I couldn’t make them cheaper myself :). Which I can. Sweet right? I know what all of that is and it’s all good. Worth $6. Wish us luck for the flight, and if you happen to be sitting next to us, I’m sorry in advance. 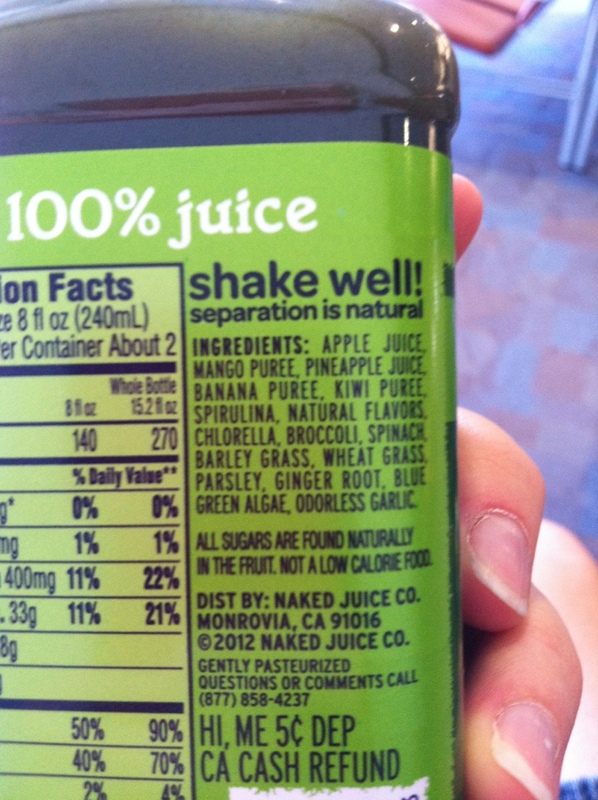 But maybe I’ll share my green drink to make up for it.